The world's only source for lucky faux monster paws! was as lucky as hell. But how could it be? was more than a blunder? 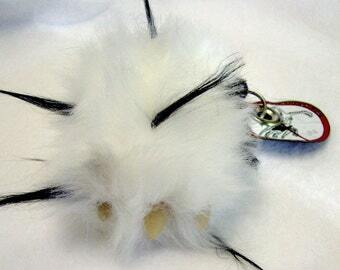 Monster Foot Keychain - Gray and Black Fur Monster Foot - Lucky Monster Faux Paw -Long Fur - Like a Lucky Rabbit's Foot but Better! Love it!! So cute and original! In the unlikely event that you are not completely satisfied with your Lucky Faux Paw you may return it within 14 days in its original condition and packaging for a full refund minus actual shipping charges in both directions. 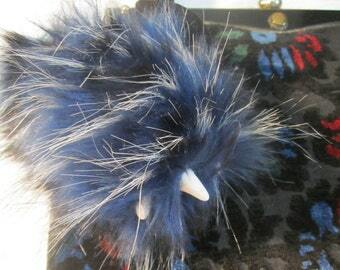 Lucky Faux Paws is happy to accept payment through PayPal and Etsy Direct. Lucky Faux Paws will also accept money order or check payments. If paying by check be aware that nothing will be shipped until check payments clear the bank. All Lucky Faux Paws are carefully packaged and sent your way via USPS first class mail which includes tracking within the United States. International orders will ship USPS First Class Mail which generally takes 1-2 weeks to arrive. There is no tracking available for international orders. If you would like to add insurance to your order please contact me prior to purchase.